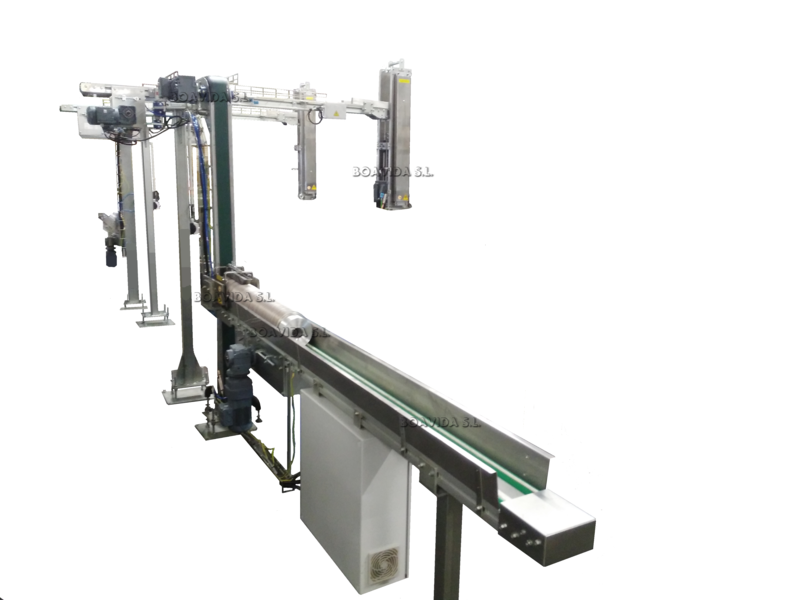 These type of feeders are suitable for feeding all kind of ends, lids, aerosol cups and domes, into seaming machines. Depending on the required autonomy, the loading area of the feeder will have a related distance. 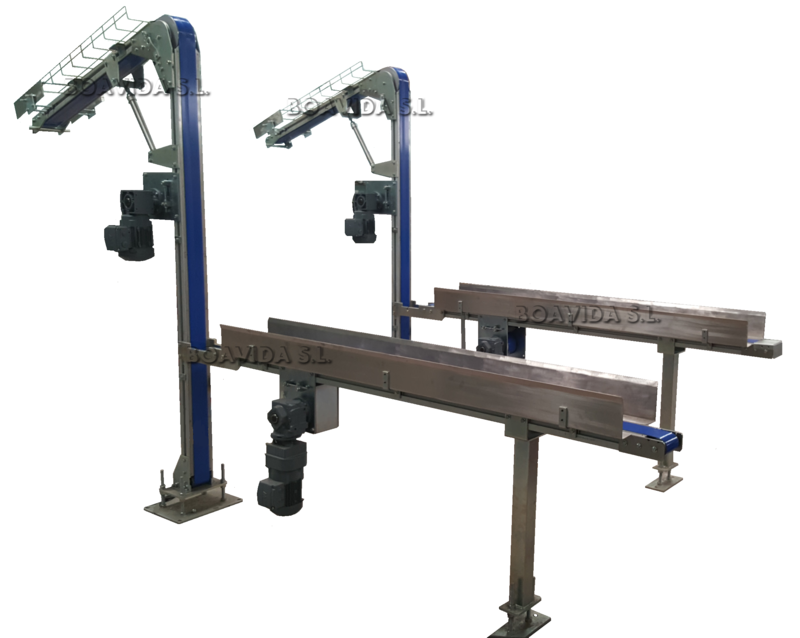 After that, ends or lids pass through a magnetic dispenser and to an elevator. 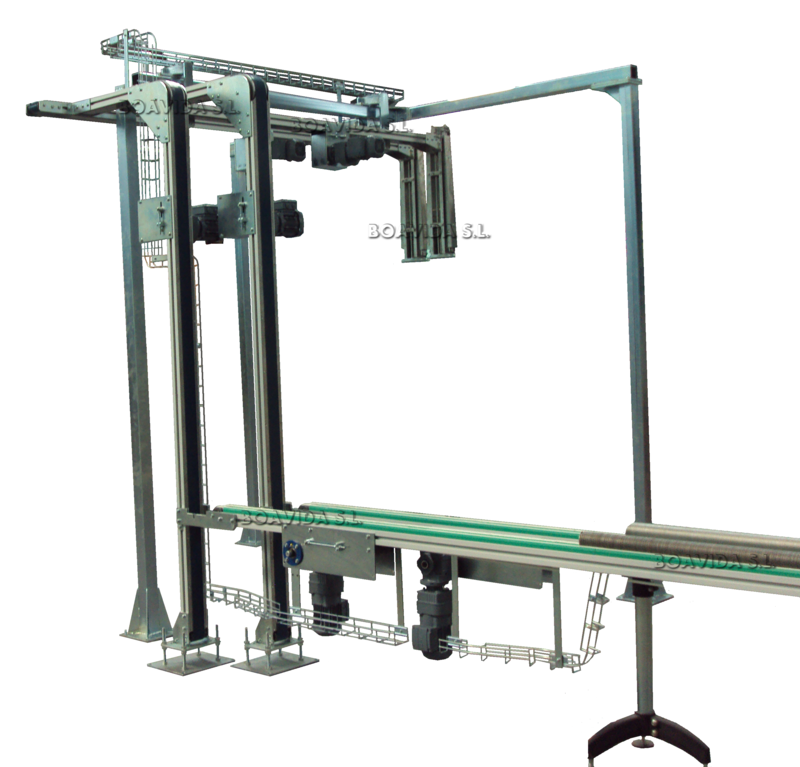 From the elevator, ends will pass straight or with a 90 degree turn to an aerial section, this aerial section can have a vertical or horizontal pneumatically powered movement depending on clients needs. 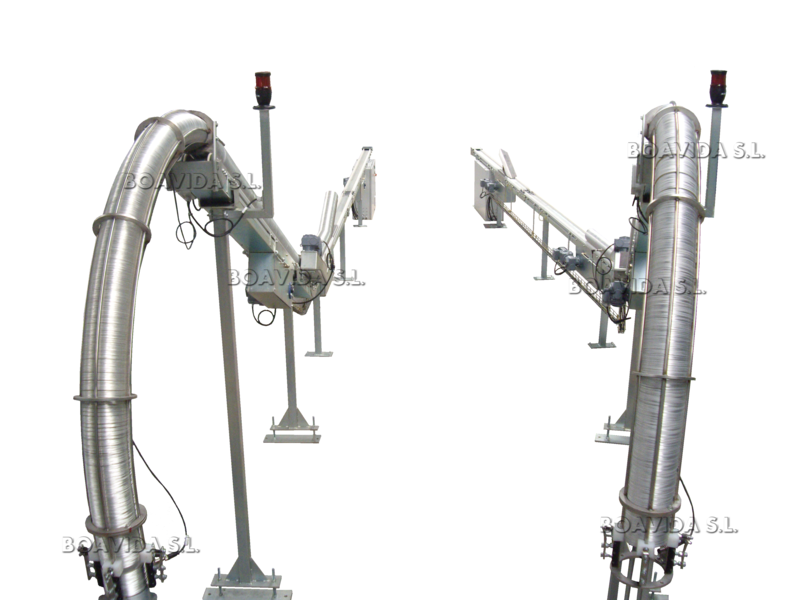 Finally ends enter a Magnetic funnel which will ensure perfect dosing into a seaming machine. Start/Stop is controlled automatically by level detectors located in the magnetic funnel before the seamer. Piled Lid Feeders "Worm Feeders"
Commonly named Worm Feeders, this type of feeders is used for transporting lids or ends all pilled up, from the loading area until the entrance to the seamer. It is also used for Aluminium lids or ends, as these ones are non-magnetic. 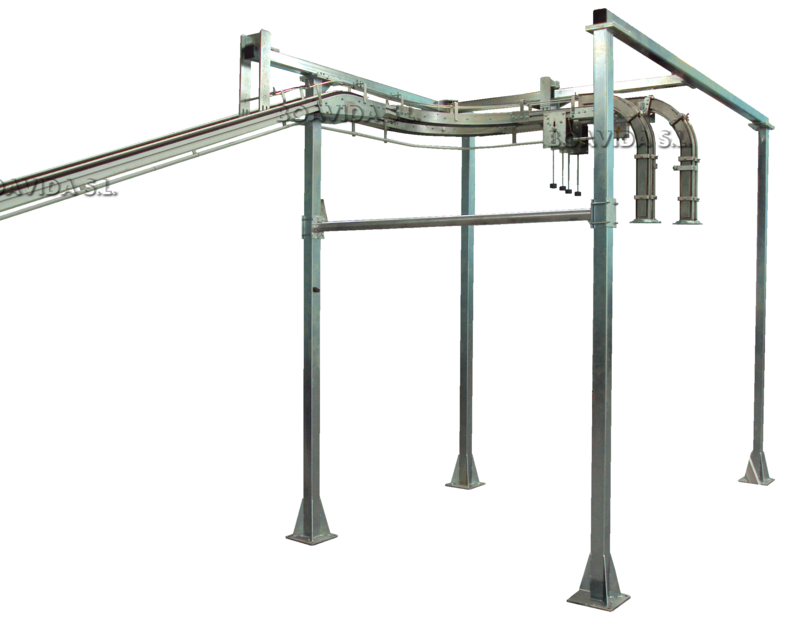 Depending on the required autonomy, the loading area of the feeder will have a related distance.